Link building isn’t rocket science. There’s no secret club where only an elite few get taught how to build links. Anyone can do it. Create something worthy of a link. Find people who might be interested in linking to you. Persuade those people to do precisely that. The problem? Step #1 takes a lot of time, and skill, and knowledge of your industry. Most businesses, products, and services are already worthy of links. You don’t have to spend countless hours creating an all‐singing‐all‐dancing interactive infographic to get backlinks. You can build links using what you already have on your website and speed up the process—dramatically. In this post, you’ll learn seven link building tactics you can use without creating new content. 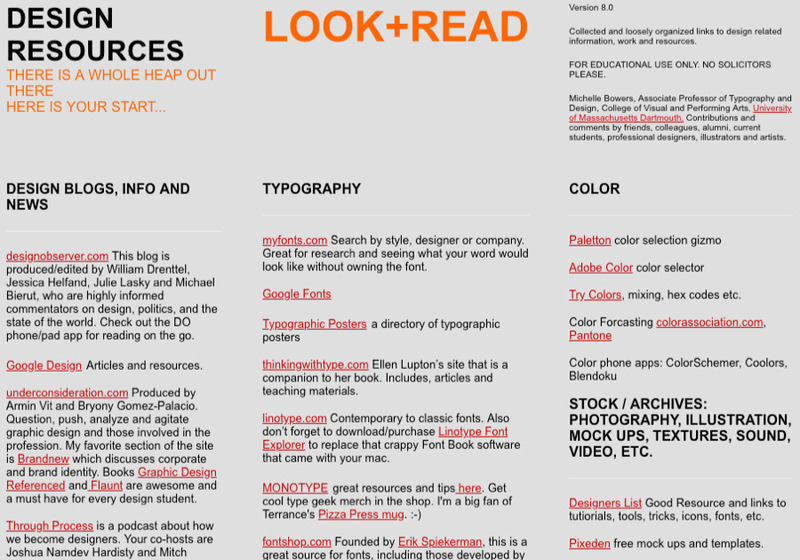 Example of a “resource page”. Note that this previously useful page no longer exists. 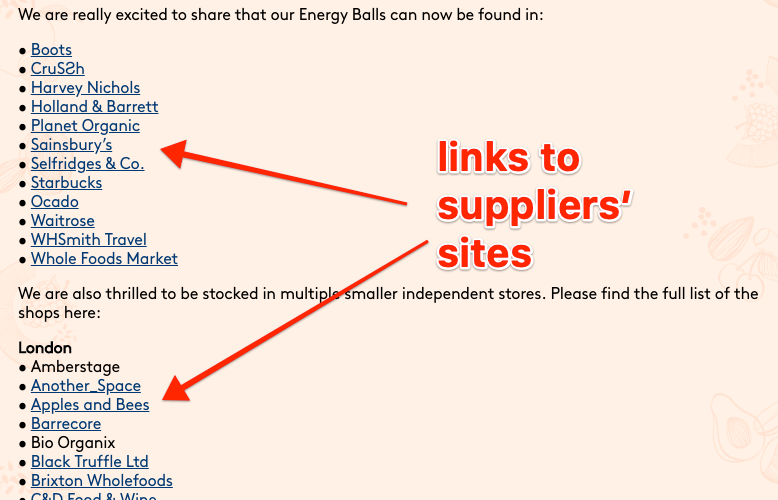 Getting links from resource pages like this is one of the oldest tactics in the book. But you can’t get resource page links unless you have a worthwhile resource to pitch, right? Right. 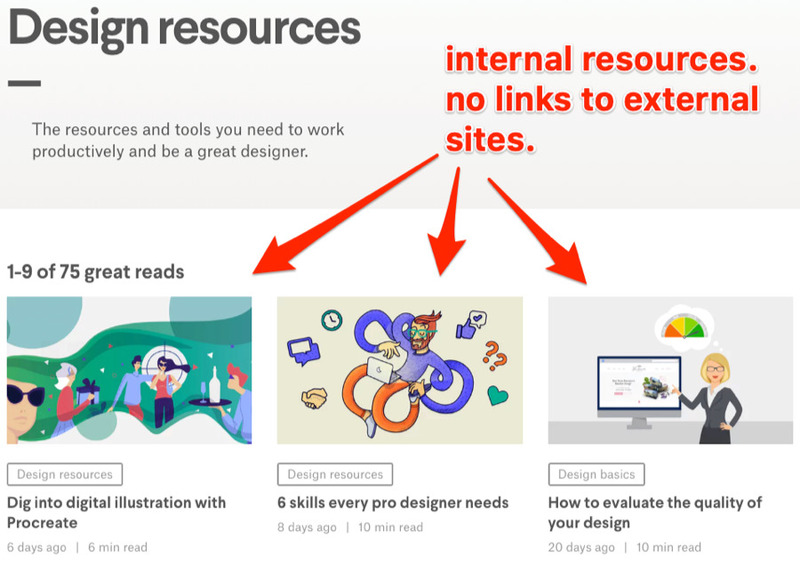 An important point here is that when we talk about resources in this context, we’re not necessarily talking about lengthy blog posts or interactive infographics. Your business is a resource in itself. To illustrate what I mean by that, take a closer look at the resource page above. You’ll notice that it links out to a lot of useful companies homepages—printing companies, illustrators, etc. That’s because they all offer products or services that are useful for designers. Problem #1: Scraping Google is time‐consuming and requires some degree of skill. You have to use tens or hundreds of search operators, scrape the results for all of them, then merge and dedupe your list in Excel or Google Sheets. That can take hours. Those are no use to us. So what’s the solution? Piggyback off your competitors’ resource page links. In other words, find the resource page links that your direct competitors have, then replicate them. For example, let’s say we were trying to build links to discountstickerprinting.co.uk. One competitor might be vistaprint.co.uk. Paste that domain into Ahrefs’ Site Explorer. Then navigate to the Backlinks report and add a “Dofollow” filter. 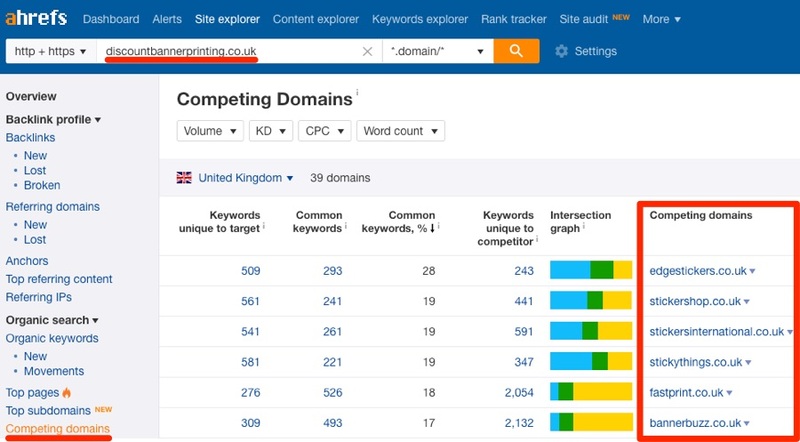 Use the Competing Domains report in Site Explorer to get some ideas. Most of the results are resource pages from which the competitor has links. So we can be sure that they’re relevant targets. Finally, reach out the owners of the resource pages and ask them to add your business. But don’t just ask. Give them a compelling reason why they should spend time adding you to their page. Think about how having your business listed on that page would be valuable to their visitors. Better than the competitor also listed on the page. New or alternative option to a competing product or service. Not sure how to find these folks’ email addresses or “pitch” them? Read this and this. It’s from a vegetarians snacks brand. It lists and links to all of their stockists. These “suppliers” pages are quite common. So if you happen to stock or sell any third‐party products, these are prime link targets. But what if you don’t stock and sell other brands’ products? I’m not necessarily talking about suppliers of raw materials here. It could be any business that’s affiliated with your business: accountant, financial advisor, print or graphic design company, etc. You can find a good list of business types to consider here. So what’s the process for getting links from these people? You then need to tackle each of these two lists independently. For stockists, search for them one‐by‐one in Google using the following operator: site:brand.com intitle:"stockists" OR intitle:"where to buy"
It’s worth manually vetting the page before reaching out. Not all “stockists” pages link to their stockists. Some only list them. You can then reach out and request to be added to these pages. Not finding any such pages from the companies with whom you’re affiliated? Look for testimonials pages using site:supplier.com testimonial. If they have one, all you need to do is to get in touch and send them your testimonial. 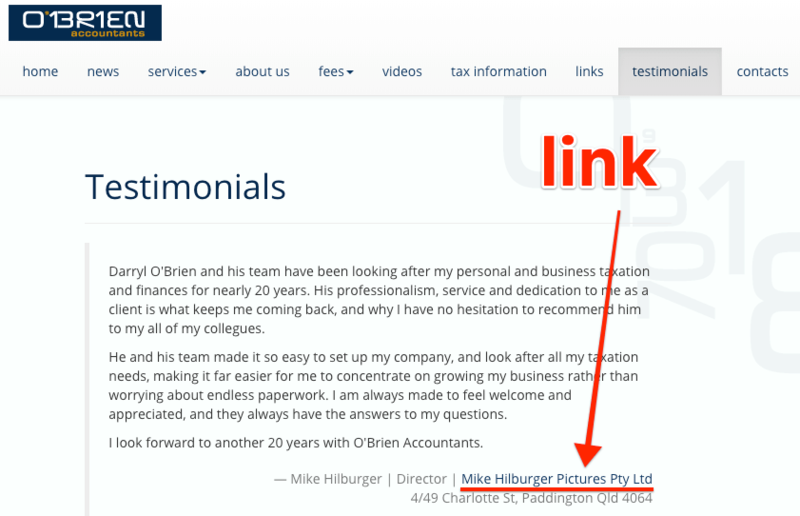 Never fake testimonials to get a link. That’s shady and unethical. You should only supply companies with testimonials if you genuinely love what they do. People will sometimes mention your business but fail to link to you. But it isn’t only big companies like Ahrefs that this happens to. 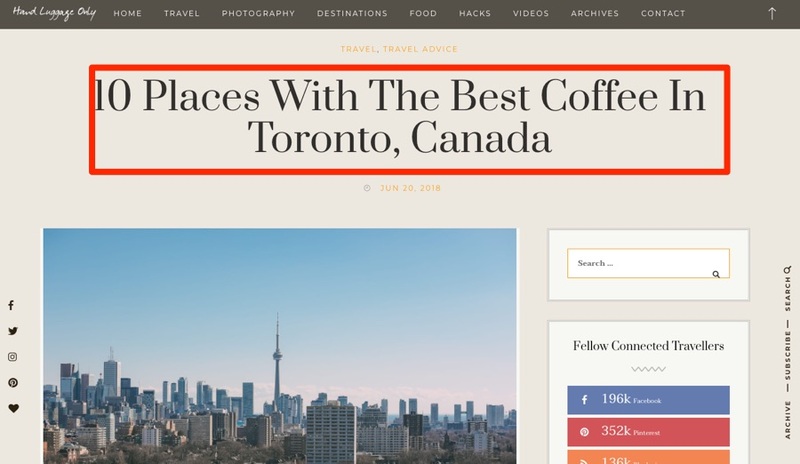 You can see that this blogger mentions Dineen Coffee. Yet there’s no link. Disappointing? Definitely. But unlinked mentions are one of the best link building opportunities you’re likely to find. That’s because these people are already fans of your business. They know what you do. They like what you do. They even mentioned you. So getting them to link is an easy sell. The question is, how do you find unlinked mentions in the first place? One way is to search in Google for something like: intext:[your brand name] -yourdomain.com -twitter.com -facebook.com -pinterest.com -youtube.com. This will show most of the places on the web that mention your brand. You can then manually sift through the results looking for unlinked mentions. Just view the source code for each page, hit CMD+F—CTRL+F on Windows—and search for yourdomain.com. If the search returns no results, then it’s an unlinked mention. Think of Content Explorer as a mini search engine. It searches a database of over a billion web pages for those mentioning any keyword or phrase. In this case, that’s your brand name. The next step is to check these pages for unlinked mentions. But as we’re focussing on efficiency and speed here, a shortcut is to use the “highlight unlinked domains” feature in Content Explorer to literally highlight results from websites that have never linked to you before. Note that this checks for links at the domain level, not the web page level. That means it won’t highlight every page that has an unlinked mention. It’s quick. No need to export the report and scrape data using third‐party tools. It prioritizes the best opportunities. Links from new referring domains (i.e., websites that haven’t yet linked to you) and generally considered to be worth more than additional links from sites that have already linked to you. That’s what you see in Content Explorer. Finally, export these web pages to CSV. You now have a CSV full of unlinked mentions. Find their email addresses. Then reach out and request the link. IMPORTANT. Don’t copy that outreach email word for word. Customize it for your particular needs. Best x in y lists exist for all kinds of businesses in all sorts of locations. There are guaranteed to be similar lists in your niche or local area. So if you’re not already featured, why not reach out and see if you they’ll add you? You know they’re already interested in what your business does. So much so, that they’ve written a blog post about it. You know that they either don’t know about your business or forgot about you when creating that post. That’s what makes it an easy sell to ask for inclusion. Best BUSINESS TYPE -"YOUR BUSINESS NAME"
This will return “best x” posts that don’t already mention you. Look through the results and make sure you’re not already listed. Reach out to the relevant folks. Use Ahrefs’ SEO Toolbar to extract all Google search results to CSV in one click. This also downloads Ahrefs SEO metrics (e.g., Domain Rating, URL Rating, Traffic) on the domain and URL‐level. That makes it easy to sort and prioritize the prospects. I usually sort by UR or the page‐level traffic metric from high to low. You can also look at Domain Rating (DR). 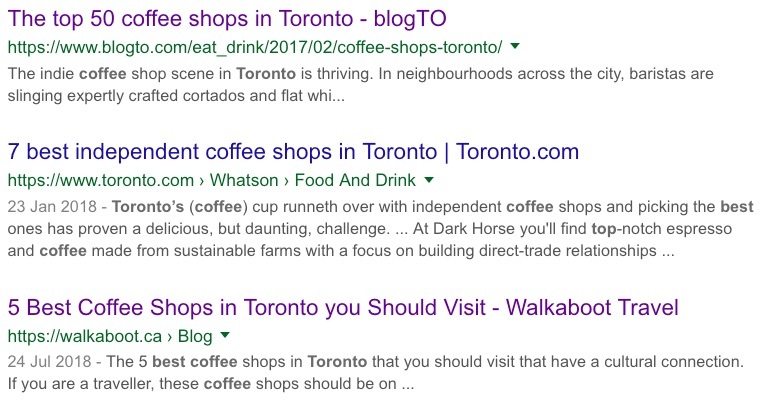 You can see that the post lists 23 coffee shops, none of which are Dineen Coffee. Furthermore, Ahrefs’ SEO Toolbar reports that this page is on a DR56 domain and that the URL gets at least some organic search traffic. Perfect. But here’s the real icing on the cake: the list was recently‐updated. It says so at the bottom of the page. And it even tells us who is responsible for updating it. Bingo! Now we can reach out. Another trick is to look for website’s that have reviewed competing businesses. Or you can paste the competing website’s domain into Ahrefs’ Site Explorer, then look for reviews in the Backlinks report. The thinking here is that if they’ve reviewed a similar business, they may also be interested in reviewing yours. Or at least trying out your products or services. It talks about the cheapest email marketing services in 2018. 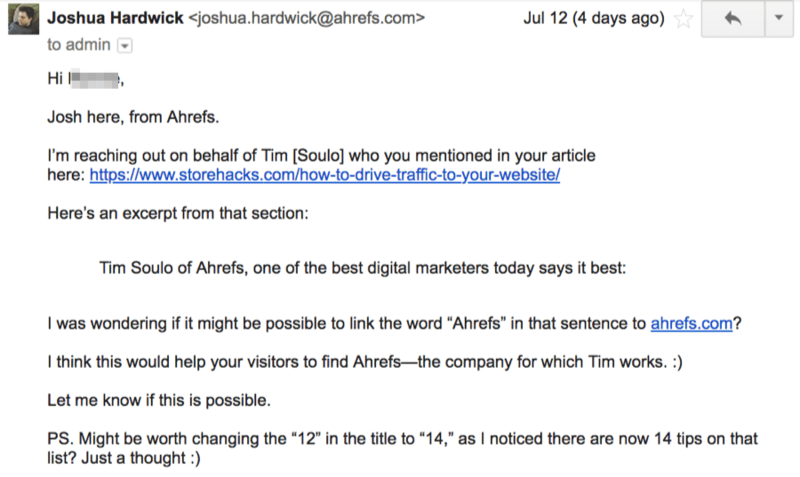 Now I know from experience that MailChimp is quite a low‐cost email marketing service. Yet MailChimp isn’t mentioned in this post. Nor is MailerLite or MoonMail—two free email marketing tools. If you can find websites that mention multiple competitors (but not you), it may make sense to reach out and introduce them to your brand. In doing so, you may even be able to convince them to add your business to that page. So how do you find relevant pages? To begin, make a list of 3–5 biggest competitors. There are hundreds of pages that mention ActiveCampaign and ConvertKit but not MailChimp. You’ll need to run multiple searches for all the various combinations of competitors. E.g., replace competitors 1+2 with competitors 3+4, etc. You’ll need then to export the search results to CSV. For that, you can use Ahrefs’ SEO Toolbar. That will download the results alongside Ahrefs SEO metrics like organic traffic, UR, etc. You can then easily sort and filter by those metrics to prioritize the best link opportunities. However, the downside of using Google is that you can only export a hundred results at a time. 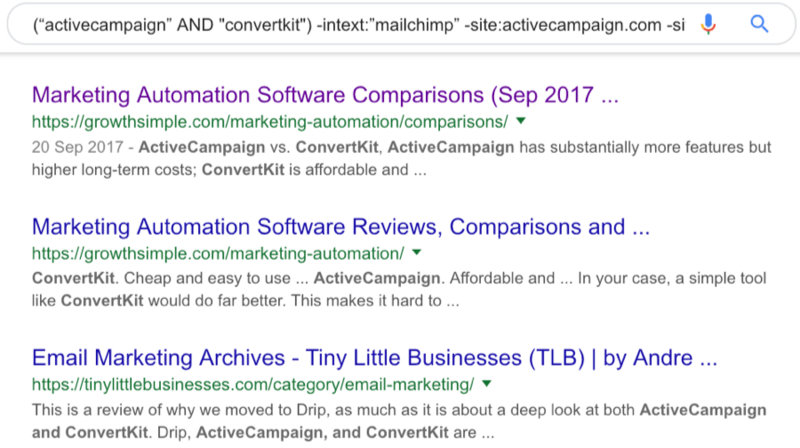 Here, 90 web pages mention ActiveCampaign and ConvertKit but not MailChimp. You can sort and filter the results in Content Explorer without exporting. They’re not familiar with your business or brand. They prefer a competing product or service. Just curious 🙂 Whatever the reason, I’m actually kind of excited you didn’t list us because it gives me a chance to tell you about our awesome product/brand/company which I think you’ll love, because it’s [Why it’s good]. Don’t copy this word for word. That’s lazy. Always add your own unique spin to outreach emails. These are easy to get. You sign up for a forum, find relevant threads, and leave a valuable comment on the thread. It’s the same story with Q&A sites like Quora. The problem? These are almost always “nofollow” links which don’t pass PageRank. This shows you all your competitors “dofollow” links from forums. Register with those same forums. Find a relevant thread. Leave a valuable comment. Such links are few and far between: Most forums “nofollow” all of their links by default. Your competitors may not have many of these links for you to replicate. Such links are often spammy: Be very careful with this. Don’t replicate every one without first doing due diligence. If the forum or thread looks spammy (which is common), forget it. Still, throw enough competitors into Site Explorer, and you should end up with at least a handful of easily replicable links that you can build today. But what about once you’ve exhausted those opportunities? I’m afraid it’s back to the “nofollow” opportunities. Contrary to popular belief, such links aren’t bad. If you want backlinks fast, you shouldn’t neglect them. It takes roughly the same amount of time to leave a thoughtful comment on any relevant thread. So why not prioritize leaving comments on threads that get high amounts of traffic? Not only does that make logical business sense (more eyeballs = more business), but it also makes sense from a link building perspective because more eyeballs often lead to more links. If a web page gets zero visitors per month: Nobody can link to you. Nobody even knows your page exists. If a web page gets 1,000 visitors per month: Maybe 10 of those people have websites and may link to you. If a web page gets 100,000 visitors per month: Even if only 0.1% of those people link to you, that’s 100 new backlinks per month. Posting on relevant forum threads with decent traffic gets your business in front of people that may have the power to link to you from elsewhere—places like blogs that don’t ”nofollow” tags to their links. So how do you find relevant forum threads with traffic? … then download the results using Ahrefs’ SEO Toolbar or the Scraper Chrome extension. If you used Ahrefs’ SEO Toolbar to scrape the results, then the resulting CSV will include estimated organic traffic metrics for each page. Sort by this column and go after the most trafficked pages first. You can change the website in that operator from Quora to any other forum. It’ll work just as well. This works. But it’s not particularly efficient, especially if the forum you’re interested is big. There’ll be thousands of search results, and it’ll be impossible to scrape them all. Paste a relevant forum (e.g., Quora) into Ahrefs’ Site Explorer. Go to the Top Pages report. Search for a keyword related to your niche. Do this, and you’re guaranteed some fast backlinks. You can even use this same process to find good blog comment opportunities. Just enter a relevant blog into Site Explorer, go to the Top Pages report. Look for relevant high‐traffic pages. If they allow comments, get involved in the conversation. Have you heard of the “skyscraper” technique? Ask those linking to the now inferior content to link to your piece instead. Creating industry‐leading 10X content takes time—a lot of time. That makes it pretty useless if you have less time and resources than your competitors. But what if you could cut out steps #1 + #2 and start from step #3? That would make things easier. Rather than creating something new, utilize what you already have. In other words, take your best asset—be it an excellent product, an epic piece of content, some research, etc.—and hustle to promote it by piggybacking off other similar or inferior stuff. This protective iPhone X case has links from 75 referring domains. However, when CNET tested the durability of 12 such cases, this was one of the first to fail. 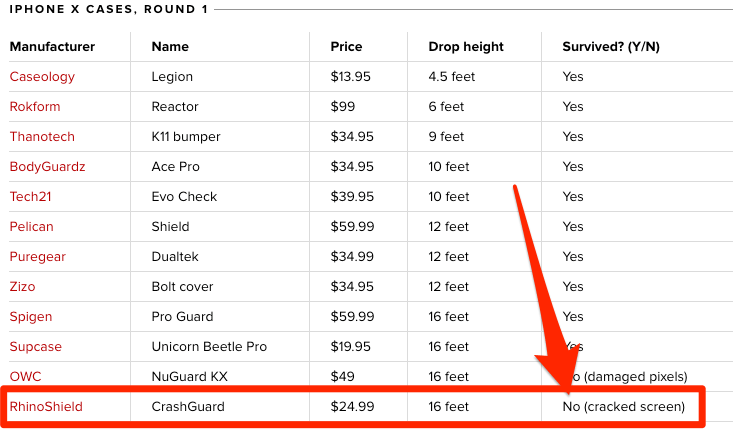 Supcase’s Unicorn Beetle Pro iPhone X case, on the other hand, fared extremely well—it was one of the few cases to survive all four rounds of testing. It was also one of the cheapest of the bunch at $19.95. Translation: this product is better (and cheaper) than the one that has amassed many links. So if you were the creator of this product, you could reach out to anyone linking to the “inferior” product and explain that they may instead want to recommend (and link to) your product. This does take a bit of research. You need to figure out what makes your product or service better than a competing one. Nobody will swap out a link without a compelling reason to do so. You can also do much the same thing for other content you have—blog posts, guides, etc. Is this a “10X” guide? Not really. But it’s still pretty decent—long, detailed and well‐written. It doesn’t take a genius to see that this is a much lower‐quality guide. It’s out of date and nowhere near as thorough. Yet it has 756 links from 117 referring domains! Translation: 117 potential link opportunities! Having read through it myself, it looks to be a bit out of date and also not particularly thorough. For instance, there’s no mention of hue, shade, tint, and tone—a concept that is paramount to understanding color theory, in my opinion. Perhaps it may be worth adding this to your list of tools? Or maybe it’d make sense to swap out Creativbloq’s out of date guide in favor of ours to keep your post up to date? The question is: how do you find relevant opportunities like this? Pluck out the inferior pages. Paste them into a tool like Ahrefs’ Site Explorer to see how many backlinks they have. That works. It’s just time‐consuming. You’ll also often struggle to find similar content that has enough backlinks to make this worth your while. Use Content Explorer to find for similar pieces of content that have backlinks. Next, use the inbuilt filters to narrow down the results to weak or thin pages with lots of referring domains (I usually go for around 50). You can use the word count filter to identify weak pages. If the subject nature of the top at hand is time sensitive—i.e., if content published many months or years ago is likely to be out of date—then you can also add a publish date filter for find old content. Finally, check out the Backlinks report in Site Explorer for any relevant results you find. Just hit the caret on any Content Explorer result and hit “Backlinks” to do this. Sift through these manually (note: I usually add a “dofollow” filter here) and reach out to any relevant sites. Internal links point to other pages and posts on the same website, like this. 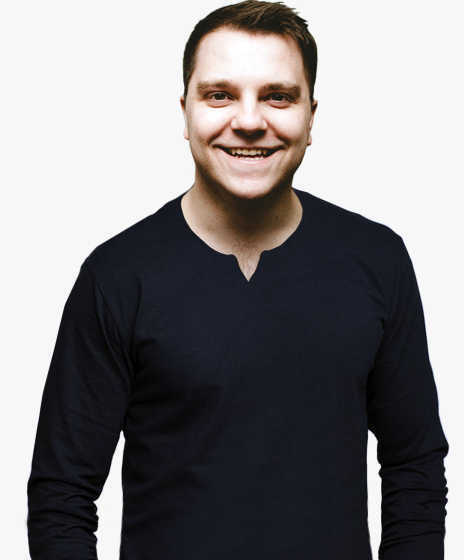 Most SEOs know about internal links. But many neglect them as they don’t believe in their ranking power. That’s a bad idea. 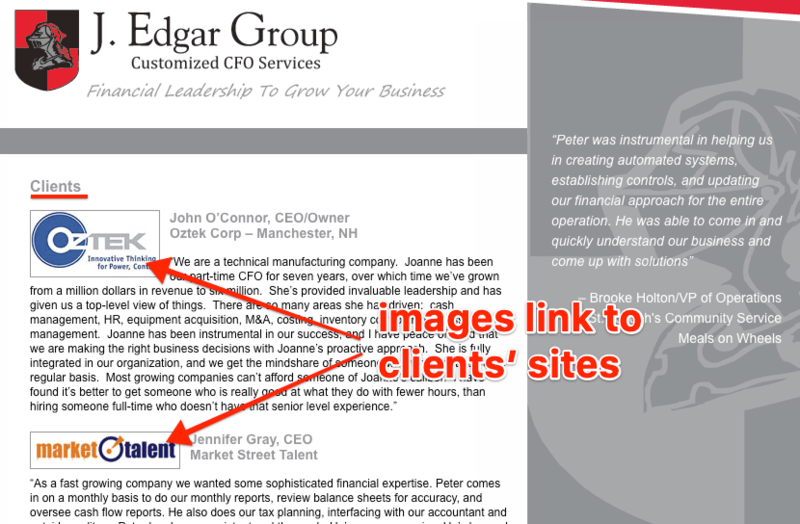 In this case study, Ninja Outreach used internal linking to boost their traffic by 40%. Furthermore, Google’s John Mueller noted that the anchor text of internal links provides Google with additional context as to the subject nature of linked content in this tweet. Long story short, a smart internal linking strategy is likely to have a positive effect on rankings. Find a page you want to boost. Find other topically‐relevant and strong pages on your site. Link from those pages to the target page. We have a landing page for our Site Explorer tool. Unfortunately, building links to landing pages and “commercial” content like this is difficult. It’s much easier to get links to blog posts and other non‐commercial content. You can see that some of our posts have backlinks from hundreds of referring domains. 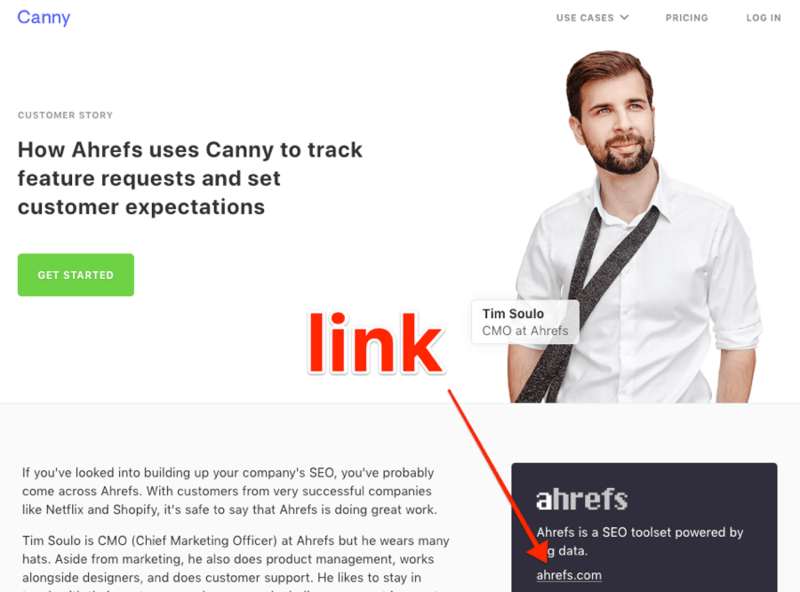 So what we can do is to add internal links from the powerful blog posts to our Site Explorer landing page. That will help to strengthen the target page and perhaps, even be enough to boost its rankings for relevant keywords. How can you find relevant pages from which to add internal links? Replace the domain with your own. Replace the “relevant keyword” with something topically‐related to the page to which you want to build internal links. 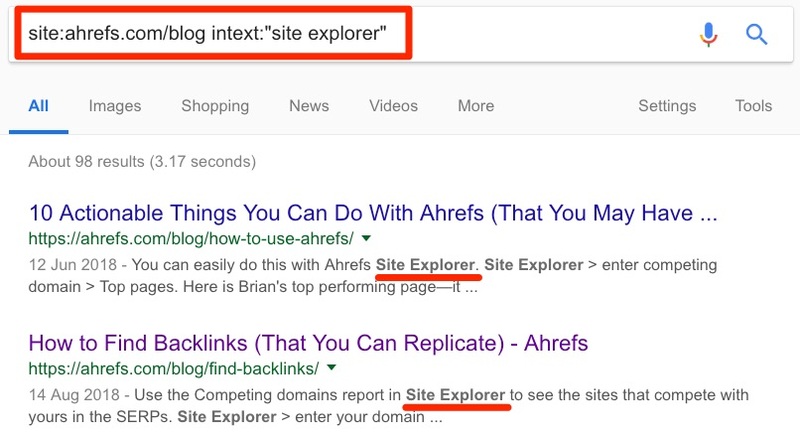 That returns the pages on our blog that mention “Site Explorer.” I.e., excellent places from which to add internal links to our landing page. Next step—download the search results with Ahrefs’ SEO Toolbar (or the Scraper extension). Open the results in Excel or Google Sheets and sort by URL Rating (UR) in descending order. Paste each of these pages into your browser. View the source code (right click > view page source). Search for the URL of the page to which you want to build internal links. If the search returns one or more results (as is the case above), then that page already links to your target page. Move on to the next page in your spreadsheet. 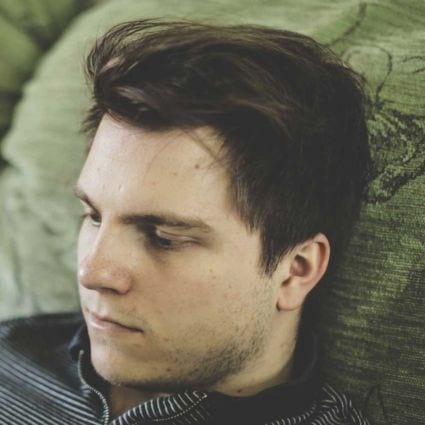 Link building isn’t as hard as most people think. Most businesses can build some great links without having to invest in new content. My advice? Give these tactics a shot and see which work best for your site. Even if you only have an hour or so per day, you should still be able to make some progress and build some decent links. Of course, you can outsource some of the workload to a VA or another member of your team if you want to move faster.